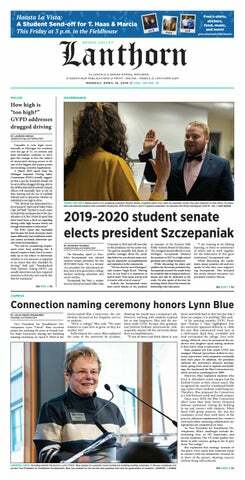 Concerns regarding student media funding on campus have been raised in recent weeks, as funding for Grand Valley media programs pales in comparison to other universities within the state. Len O’Kelly, a Multimedia Journalism professor within the School of Communications, spoke to student senate regarding the issue, stating that amongst the 15 state-funded universities, GVSU’s student media funding ranks 14th. A lawsuit regarding the claimed wrongful death of Rosemarie Reilly, a Grand Valley State University student, in 2016 was filed on Nov. 2, directly citing two Grand Valley Police Department (GVPD) officers and four Ottawa County Sheriff’s Department (OCSD) officers for their involvement and “gross negligence.” The surfacing of a lawsuit not only brings up questions surrounding the cause of Reilly’s death, but challenges if the situation could happen again. As students return from winter break with resolutions to join a new club or organization, many flock to Grand Valley State University’s Campus Night Life, which was held in the Kirkhof Center on Friday, Jan. 11. While the event featured many of GVSU’s over 400 organizations, just as the fall semester’s Campus Life Night did, many organizations came into the winter event with varied goals.